Come help BLEACH celebrate their newest issue: TOKYO PLUM! We promise to keep you warm and cozy while you dance to the finest tunes provided by special guest dj's: GRIMES!! 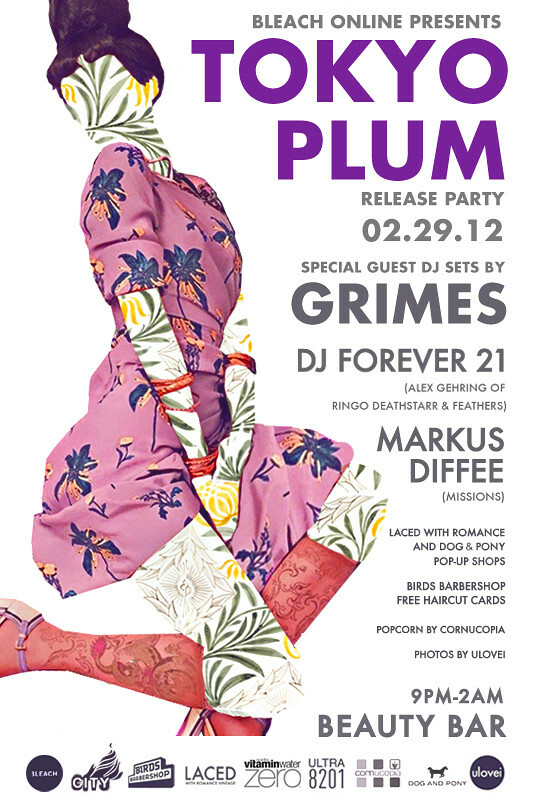 !, Markus Diffee and DJ Forever 21 on February 29th at Beauty Bar. Drink special $2 well whiskey $4 jack, Jim, Fireball, and SoCo.